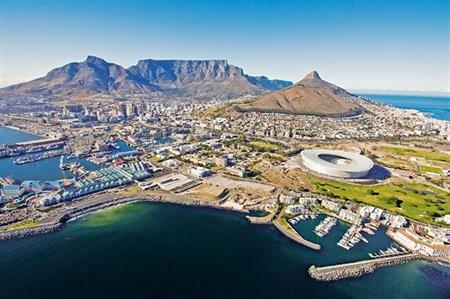 Colt Technology has selected agency Red e2 to organise its revamped recognition programme in Cape Town, South Africa in 2017. The agency has been selected to work with the company for the first time, following a pitch process. The recogintion trip will take place in April 2017 for around 45 winners and their partners, who will be hosted by the CEO and other senior management. Jason Sullivan, employee engagement and recognition manager at Colt Technology, said: "We chose to work with a new agency, Red e2, on the event this year following a pitch process. Their fresh ideas, previous experience in taking groups to South Africa, and ability to create a five-night programme within our budget were the key elements that helped us to decide to work with a new agency on this event." The company's long-standing recognition programme for top performers has been rebranded as ACE Connect. ‘ACE’ stands for Awards for Colt Excellence, while the full name of the event is designed to reflect how the trip will connect top performers with each other, as well as how the company helps businesses to connect through products. "Cape Town is a stunning destination for any recognition event, and a perfect location for bringing together guests from places as far afield as the US, Japan and India, as well as various European cities," said Peter Jackson, director of Red e2. "A key feature of this trip will be the opportunity guests will have to make a tangible difference to the life chances of some of the children who live in one of the townships through active participation in a CSR project and we are really looking forward to seeing that work bear fruit. Red e2 has built up a great deal of experience working in this part of South Africa, this allowed us to build a solution that will deliver an awesome event for those that will attend, as well as providing great value for Colt Technology Services." Colt Technology has also worked with agency ACA Live, which recently delivered leadership programmes and incentives for the company.